Steve Job’s aspiration was to make a ding on the universe. The dimple on the bottom of my iPhone suggests he succeeded. I’m personally saddened by his loss. I admire his genius for fusing technology with design. I thoroughly enjoy using both my iPhone and my iMac. I’ve felt affirmed as a person when I interact with his company for service. Recently, rather than fighting through layers of automated menus only to be asked verbally for the phone number I had just provided to a computer prompt, the Apple representative I was on the phone with said, “Rather than calling the local stores yourself, would you like me to do that for you?” Thank you God! My condolences go out to his family. I watched my brother die of emaciating cancer. It is difficult to see the vitality of a person’s life inexorably drain away. 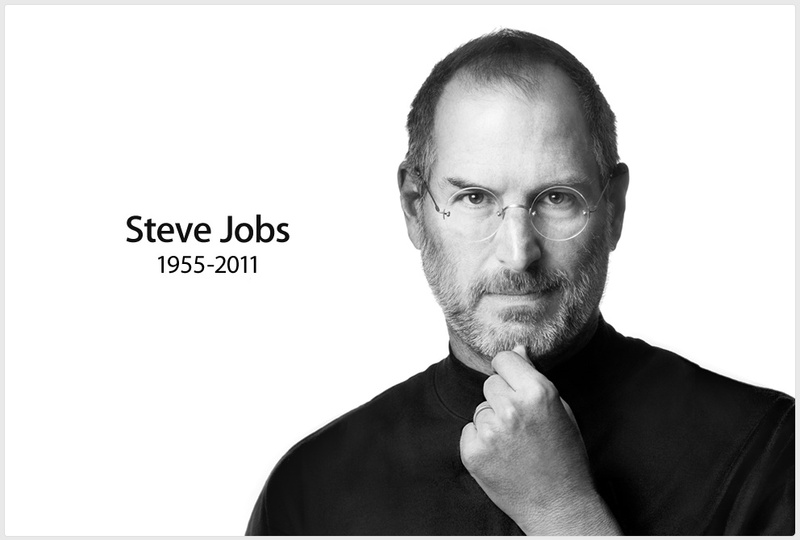 My condolences also go out to the company as well: it’s hard to lose your visionary. I saw the picture above flashed on a billboard on the way to work here in Milwaukee this past week. It seemed fitting: well done Apple. Yet it was sad. iSurrender. Don’t be trapped by dogma, which is living with the results of other people’s thinking. Don’t let the noise of others’ opinions drown out your own inner voice, heart, and intuition. They somehow already know what you truly want to become (emphasis mine). Trusting that you will make things right if I surrender to your will, that I might be reasonably happy in this life, and supremely happy with you forever in the next. Steve Jobs surrendered to death but maybe not to the One who claims to have created us and to understand us better than we understand ourselves. We indeed ought to listen to our “own inner voice, heart, and intuition“. Yet do these not tell us that we are profoundly lost and in need of something outside of ourselves? Could it really be that in Jesus there is a way to avoid surrendering to death by instead surrendering to life? For God so loved the world that he gave his one and only Son, that whoever believes in him shall not perish but have eternal life. For God did not send his Son into the world to condemn the world, but to save the world through him (John 3:16). iSurrender, yes, but not to death. iSurrender to the love of God for me. I was indeed naked but now I’m clothed with forgiveness, grace, and peace. While I’m still very much a work in progress, I hope for something better and humbly invite you to join me on this journey. Philippians 4:8 says this: “… Whatever is true, whatever is noble, whatever is right, whatever is pure, whatever is lovely, whatever is admirable – if anything is excellent or praiseworthy – think about such things.” What do you most admire about your iMac, iPhone, or iPad? What in this material reality might point to a deeper spiritual reality running both around and through it? This entry was posted in Business on October 9, 2011 by Steve Godfrey.